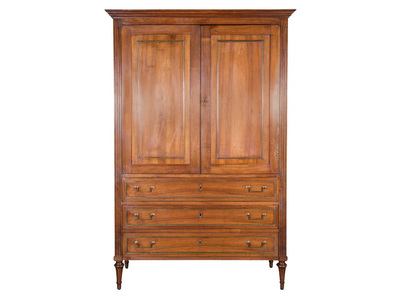 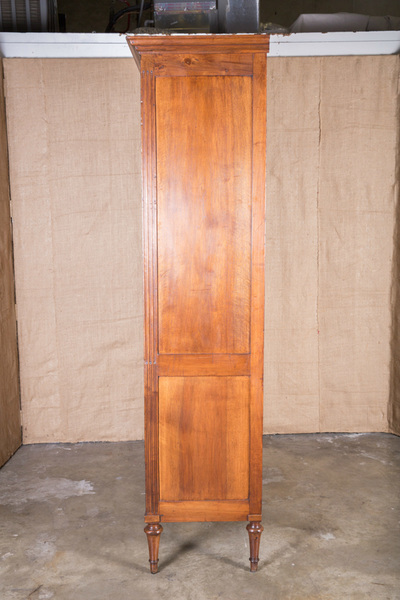 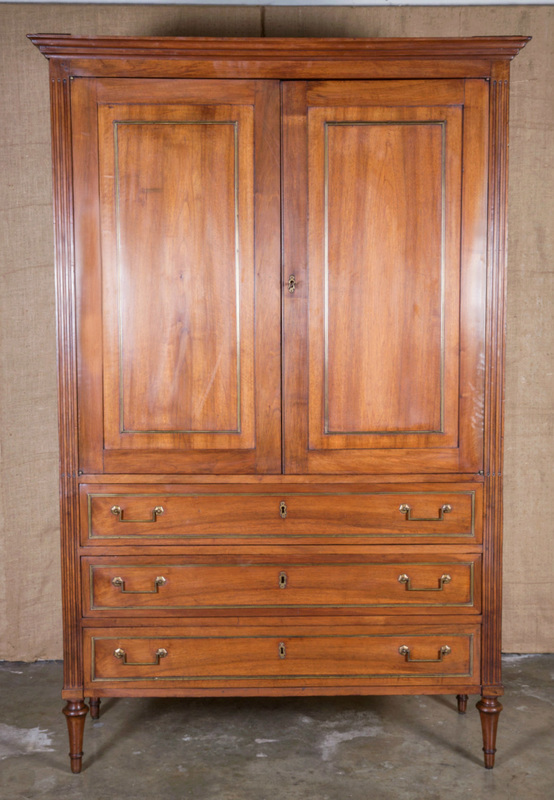 ﻿﻿﻿﻿Fine 18th century French period Louis XVI linen press handcrafted of walnut. 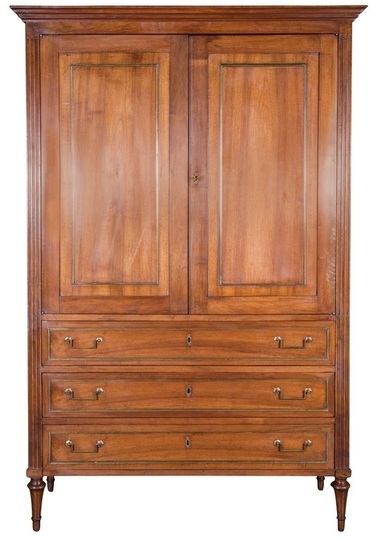 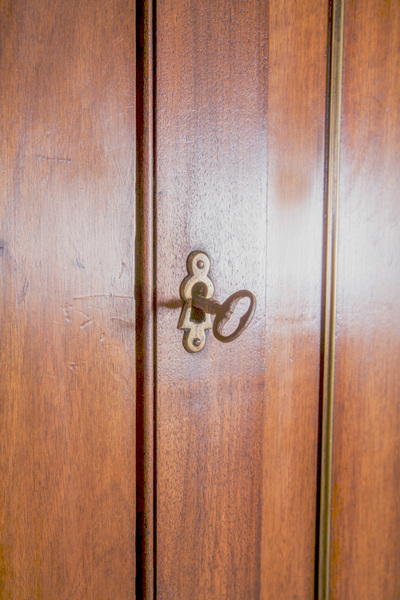 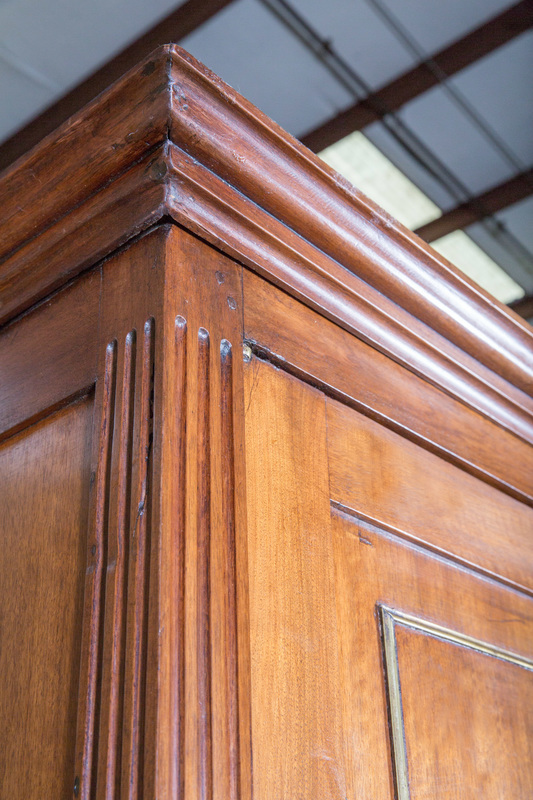 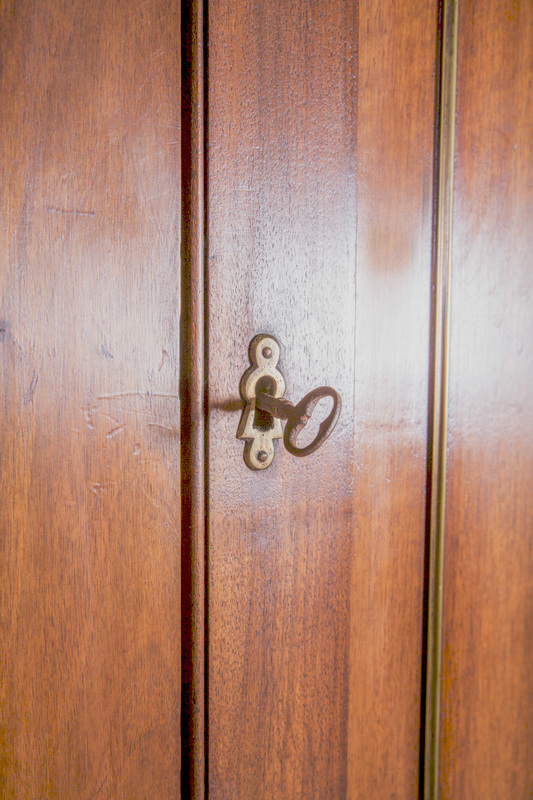 Two upper cabinet doors above three full width drawers flanked by fluted columns. 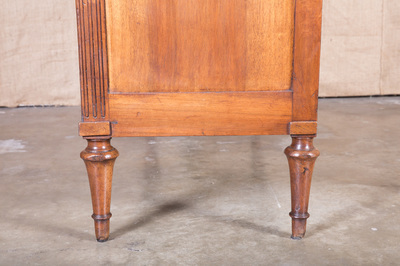 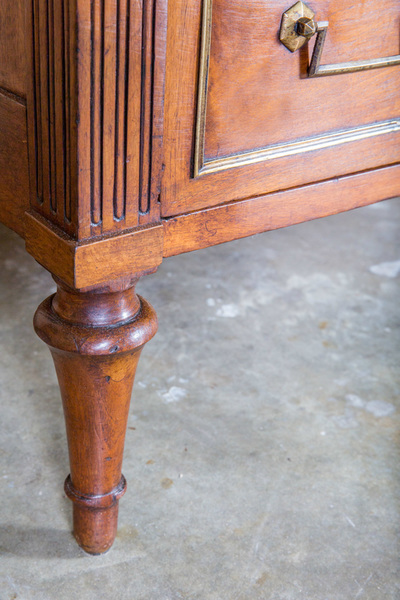 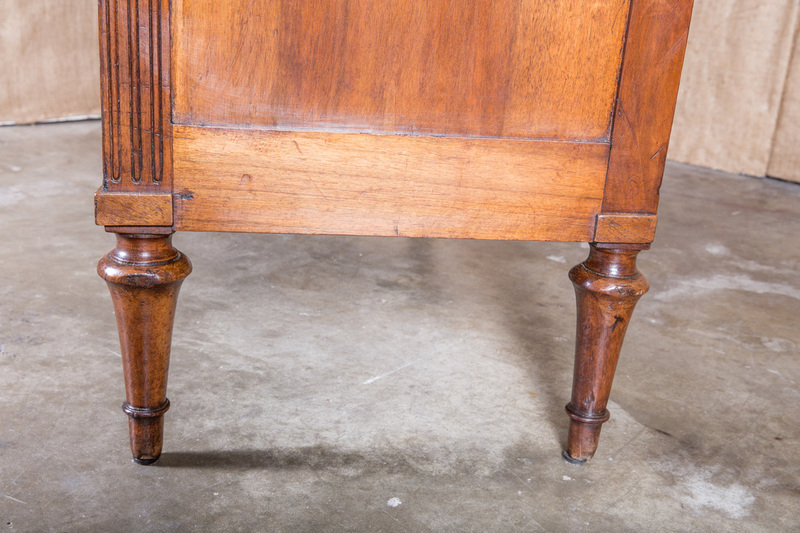 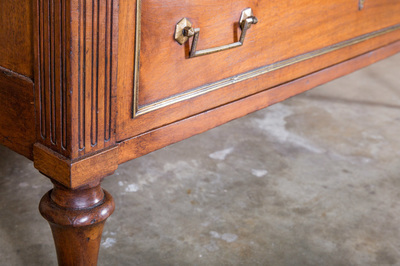 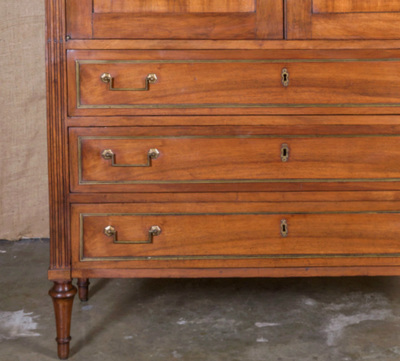 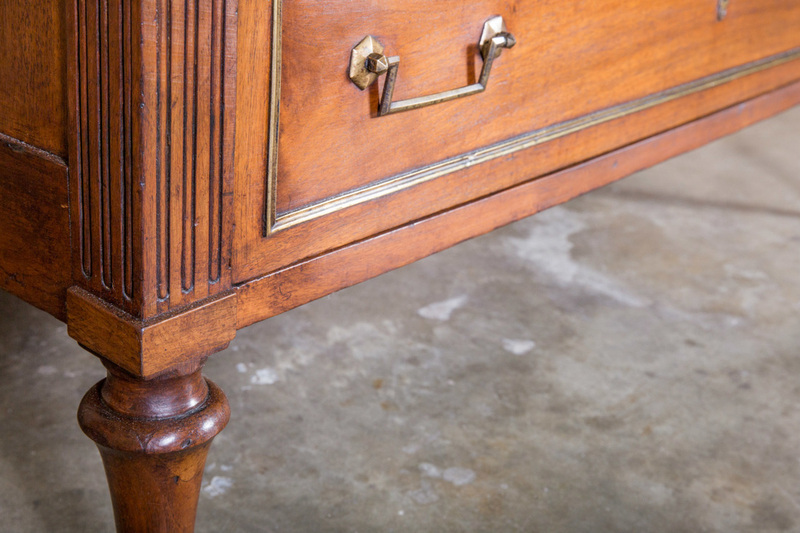 Features typical neoclassical detailing, including brass banding, squared brass drop pulls and toupie feet. 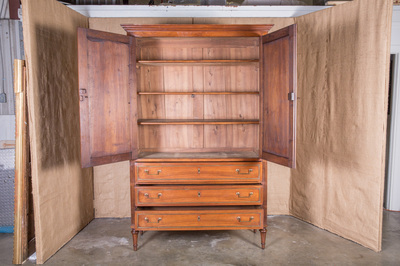 Doors open to reveal three interior shelves. 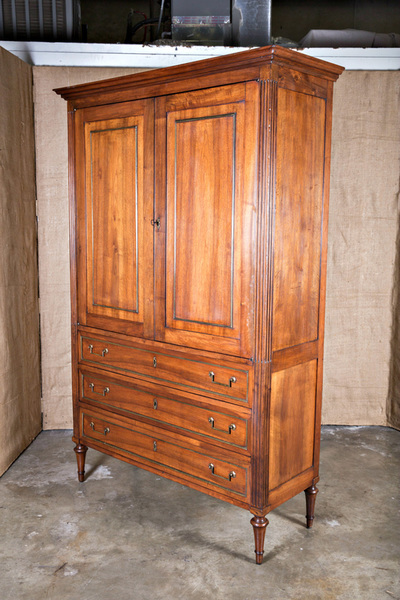 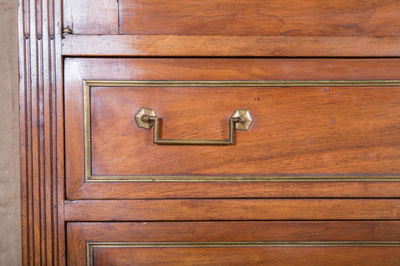 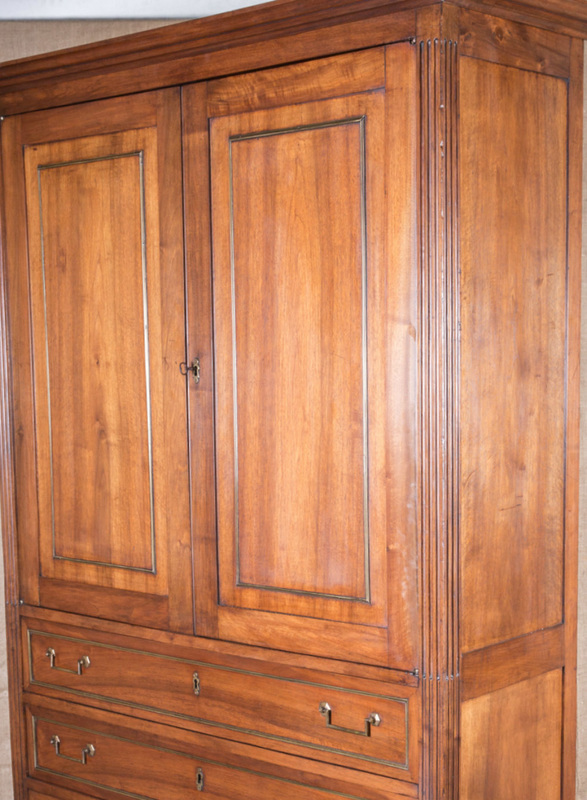 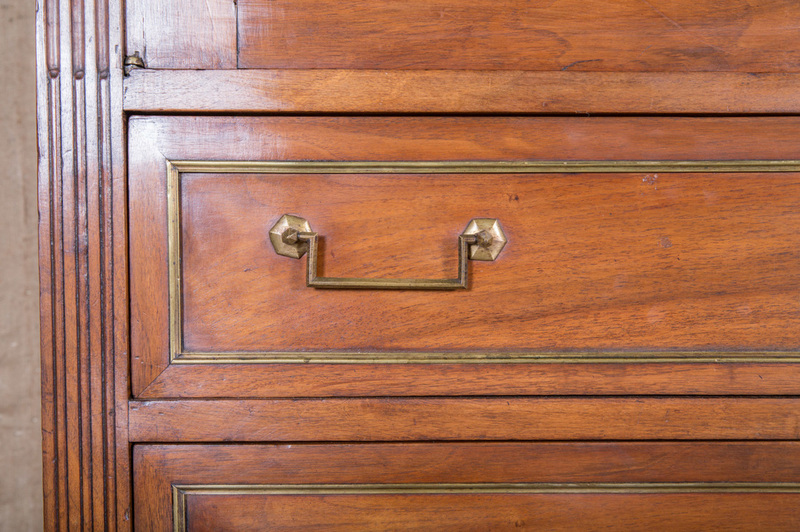 This stately linen press with its classic straight lines, was designed to store the family's linens. 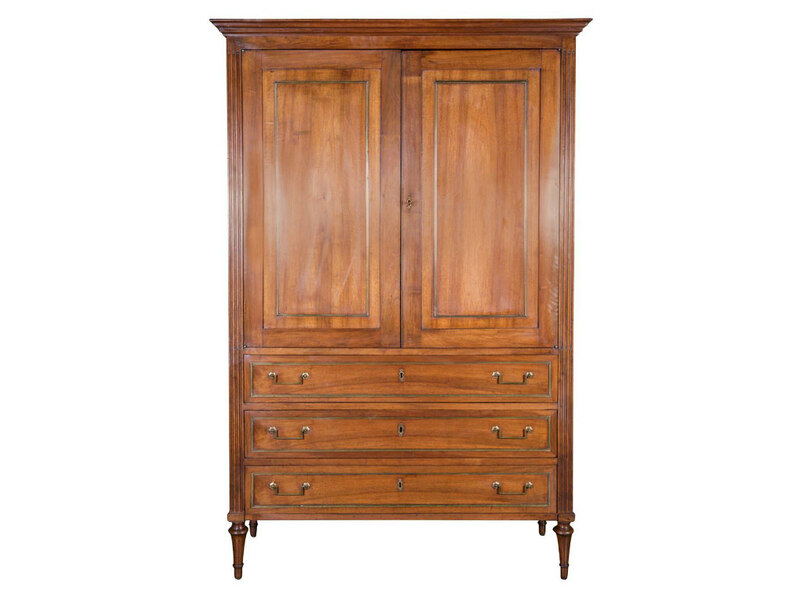 A wonderful piece that will enhance any bedroom, dining or living area.